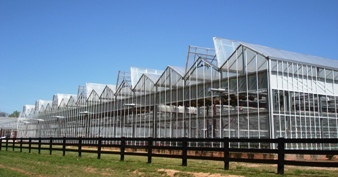 Venlo, a name well recognized, has over 40 Years experience serving the Greenhouse Industry. Quality and experience at competitive prices! Over the years the greenhouse industry has changed, and we have changed with it. We continually adapt new technologies, improve designs, and our constructions have become lighter but also stronger. And, in the midst of all this, we have been able keep our prices very competitive and our quality standards high. Our greenhouses are designed by our knowledgeable and experienced engineers. After the designs are approved, the greenhouses are produced in ultra modern facilities in China, under the high standards set by the Dutch greenhouse industry. They meet up to the building codes here in the U.S. as well as to those in Canada.